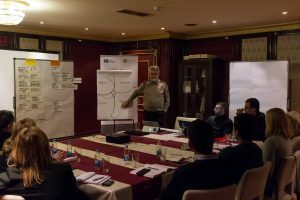 The first joint workshop of institutions responsible for strategies and policies of SME development in BiH was successfully organised within the project “SBA Strategic and Policy Framework in BiH”. Principles of a common (standardised) SME planning methodology and an initial structure of the strategic documents that should be prepared for the period 2021-2027 were drafted. The principles and structure were agreed by consensus. The next workshop is scheduled for February 2018. The project is supported by Sida, Embassy of Sweden in BiH.